Since 1917 Oshkosh Corporation has been building the world’s toughest, longest lasting, most reliable trucks. In fact, these vehicles have such a long operational life that they often outlive their original technology. That’s why Oshkosh Corporation has been helping military forces remanufacture and retrofit vehicles for more than 40 years. 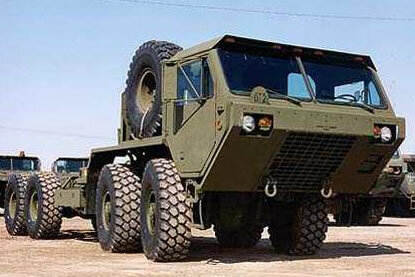 The HEMTT, which has been in US Army service since 1982 with over 15000 built. The Oshkosh Recap Process is more than simply replacing a few components that have reached the end of their useful life. The vehicles are torn down to the frame rails, and stripped of any old paint, rust or corrosion. Worn parts are replaced and the vehicle is re-fitted with the latest technology, ensuring top performance from every remanufactured vehicle. As an example, under the HEMTT overhaul/remanufacturing contract, Oshkosh integrates LED marker lights, two-piece wheels, engine and transmission upgrades, and air ride seats. Ancillary equipment such as cargo bodies, cranes, and fifth wheels are also overhauled and reassembled for use on the remanufactured vehicles. The tires and all electronics, such as wire harnesses, gauges, etc) are replaced with new. The vehicles are reassembled on the same integrated vehicle assembly line as a new truck. 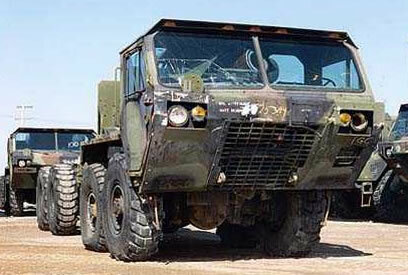 Oshkosh remanufactured vehicles are in like-new condition. They have new components, new technology, and a new “zero hours/zero miles” bumper-to-bumper warranty -all at 75% or less than the cost of a new vehicle. And all with the same ability to perform.